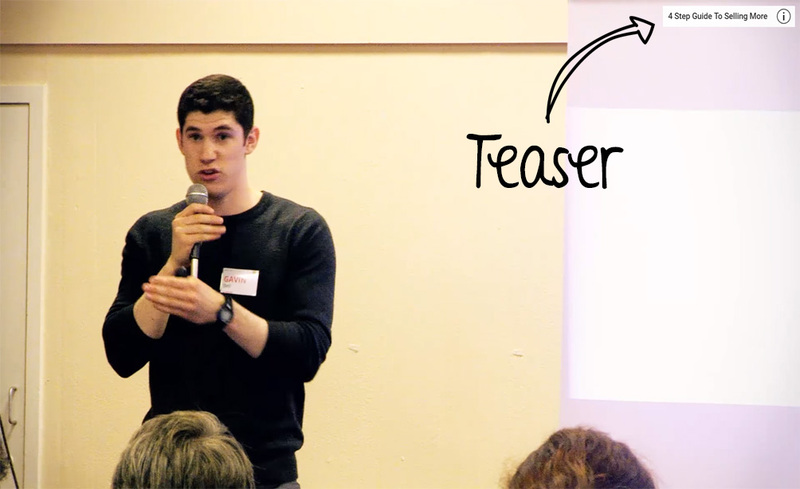 So why has YouTube killed off a tool that's really, really, REALLY useful? Well the answer is also really simple. The world has gone mobile, and it has gone mobile remarkably quickly. It is only ten years since Apple released the first generation of iPhone, and in those ten years the world really has changed with most people spending a huge amount of time peering into their palms. Getting back to YouTube, that means more viewers on mobile devices compared to desktops. According to YouTube, more than half of views are now on mobile devices. The reason that is important for annotations is that they do not work on mobile. So irrespective of how useful they may have been for desktop viewers, they really have no purpose if the majority of viewers cannot use them on their mobile devices. Of course the story does have a happy ending, although some YouTube Creators may disagree. YouTube introduced Cards and then End Screens, both mobile and desktop friendly. Sure, they are different to Annotations and cannot do all the things that Annotations could but maybe that is a good thing. Let's be truthful, as far as viewers were concerned, Annotations sucked! They looked ugly, Creators often obscured their videos with them and frequently placed them in the wrong part of the frame. By comparison Cards and End Frames look far more attractive, professional and add to the viewer experience. It is also good for Creators. We can link to other videos, our own and others. We can request viewers to subscribe to our channels. We can even lead our viewers off to our sales pages and merchant stores, although it would be good if we could include affiliate links to the likes of Amazon and eBay. Some of the restrictions imposed by YouTube are actually good for both viewers and creators. End Screens, by definition, come at the end of a video, and then only for the last 5 to 20seconds. 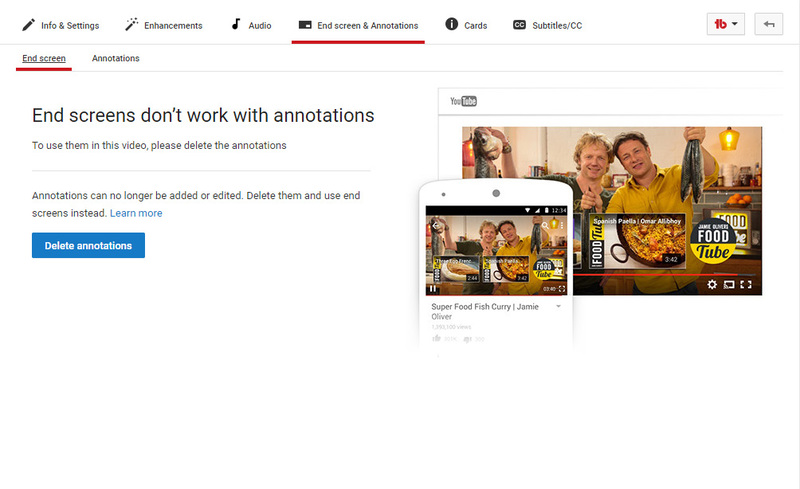 Some creators would like to be able to have their clickable links on view for much longer, just like they did with annotations. 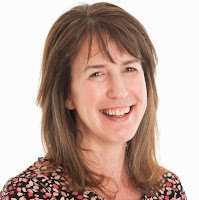 What they fail to recognise is that a viewer who has stuck with the video to the end is obviously interested in the product and far more likely to respond to a call to action and click through. The link is in the perfect place and will not annoy viewers who would never respond anyway. In contrast, Cards can be placed at any point in the video but they only manifest themselves as a teaser for a few seconds across the top right of the screen. At any other point a small icon will appear in the top right if the viewer taps the screen. A tap on that icon will bring up the Cards. Cards and End Screens respect the viewer but are still fantastic marketing tools for YouTube Creators. If you have annotations on your old videos and they are working for you, that’s great, they will continue to work… ONLY on desktops. But if you want to market to ALL of your viewers ditch the Annotations and move over to Cards and End Screens. 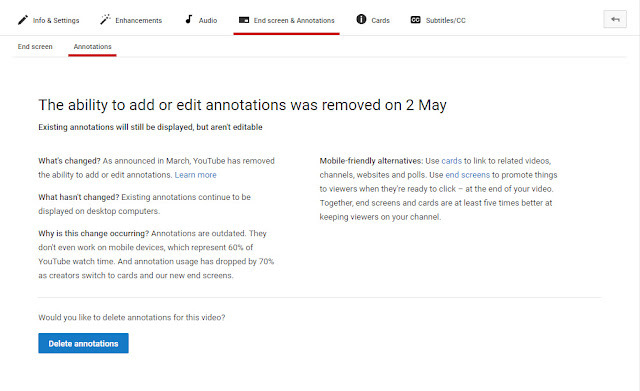 Despite the fact you the new tools do not offer the functionality of Annotations, if you want to maximise the marketing potential of your videos it may be wise to bite the bullet and re-edit with Cards and End Screens in mind. Realistically, the proportion of viewers on mobile devices is only going to go one way, and that is up!